Good morning ladies! 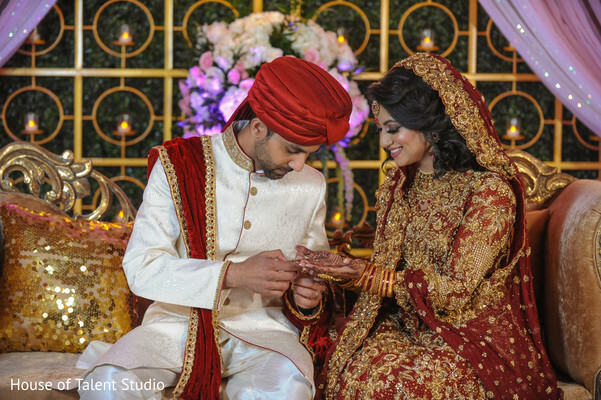 In today’s post, we explore the dreamy Pakistani wedding of Mia and Yaser! 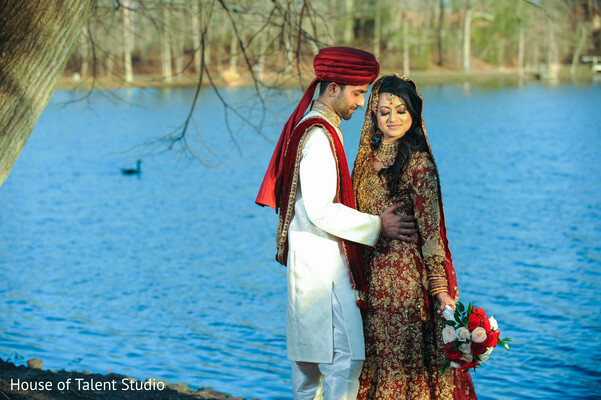 House of Talent Studio had the privilege of capturing every minute of it and portrayed the bride and groom on a bright natural backdrop before their stellar moment. 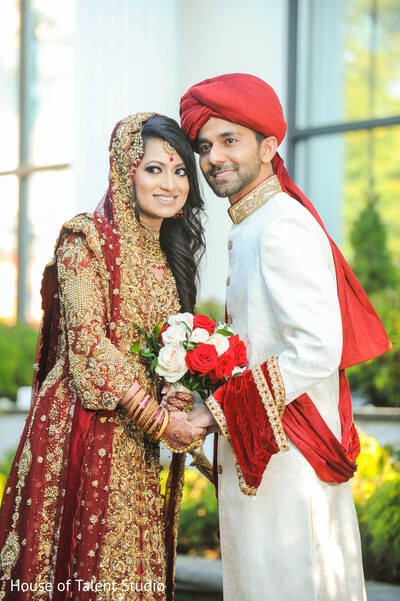 The essential part of this cultural affair was the Nikkah ceremony at the Sheraton Atlantic City. 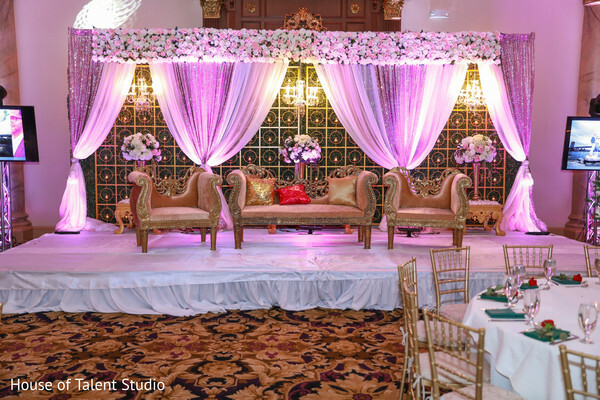 The signing of the marriage contract was the highest point of the union and took place in a glorious ambiance created by the expert décor team of Kaotic Soundz. 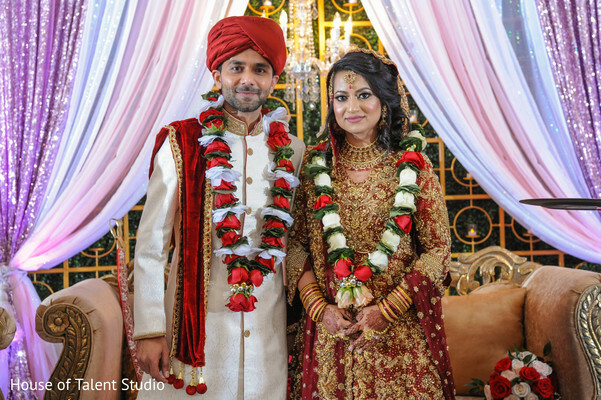 The chandeliers and mind-blowing uplighting provided an elegant feeling, while the bed of fresh blooming flowers over the wedding stage gave a touch of grace to the enchanting set up! 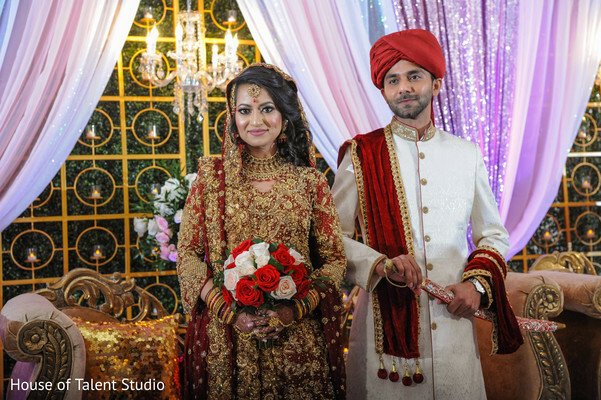 Faultlessly suited in a cream sherwani, Yaser’s wedding look paired superbly with Mia’s maroon Anarkali suit, specially designed for her by Haris Shakeel Couture. 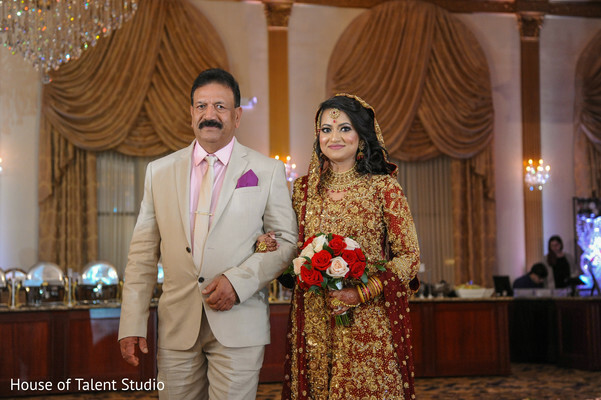 This unforgettable event was all about love, traditions, and elegance; rush to our full gallery to check all these beautiful elements! 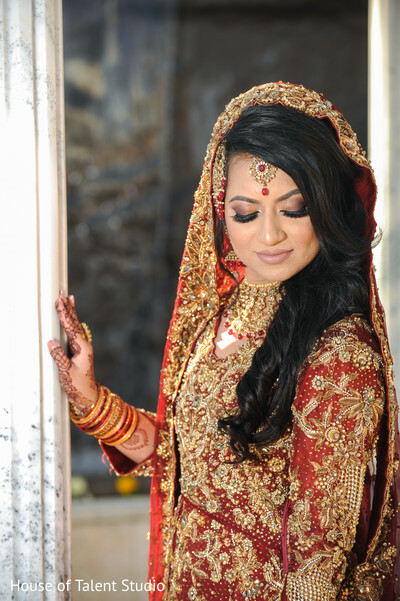 We will be right back with the wedding party of Mia and Yaser! House of Talent Studio is a member of the Platinum Guide. Love what you see? Explore their portfolios.